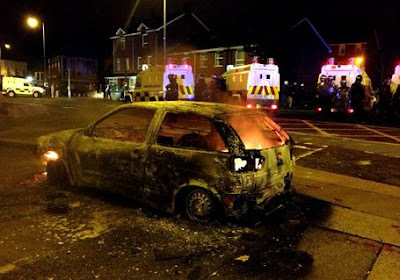 Loyalists threw bottles and stones at police in a sixth straight night of violence in east Belfast. I have written a number of posts since these protests started and I have yet to get an answer. 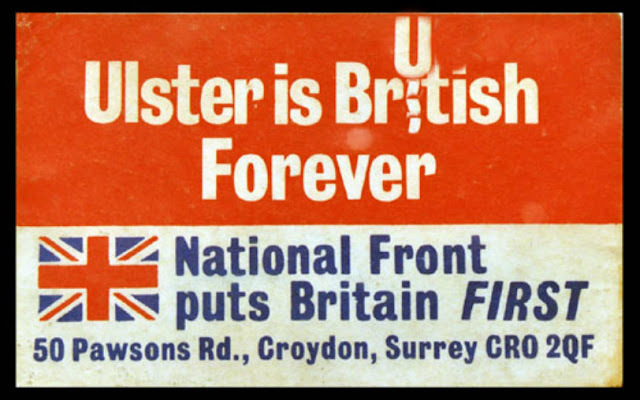 Please - if there is a unionist out there who reads this please kindly reply and tell me why it is so important for you that Northern Ireland remains within the United Kingdom. As I said I have yet to get a reply over the last month so perhaps they don't know why they want NI to remain within the UK. maybe it's what their parents told them and they must be right. I think i have a solution , this may sound crazy but why not just arrest these assholes.Every night you get a few more till there are no assholes left .Problem solved !! 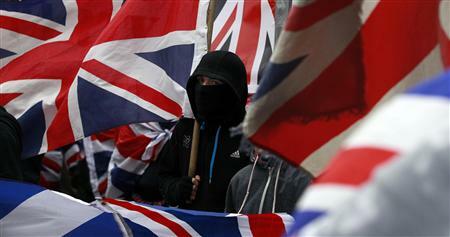 Hitler would have loved to have these loyalist goons in his brown shirt brigade! As I said before someone who did not agree with my post got it deleted. 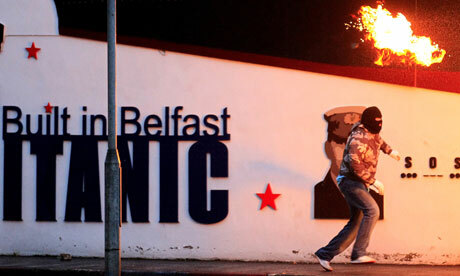 They have been itching for a fight with the short strand area for quite a few nights. Poke a hornets nest for long enough you will eventually get a reaction. Now we have a new fighter in the ring and a way to divert attention and cry victim in all this. This flag going down has not affected your day to day life in any way shape or form. It is also not down for good or has it been replaced with a tri colour. This "protest" however is affecting those in the east who have to travel on these roads to get to work and take care of our families etc. Please will you all just give it a rest! 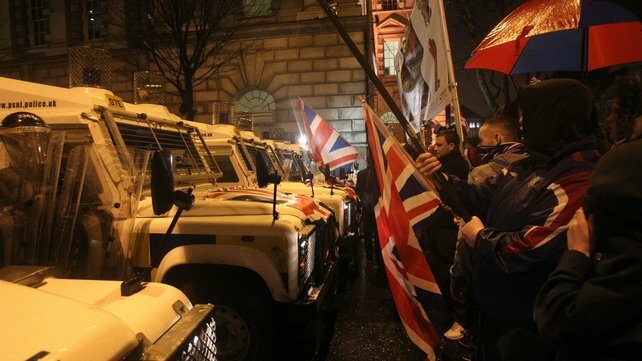 A special meeting of Unionist representatives has been called in a bid to end the loyalist unrest ................................... The dumb meeting the dumber to try to undo their dumb idea for to bring their dumb zombies on to our roads and streets. What will be their next dumb idea, will it also backfire on them and make the situation even worse? 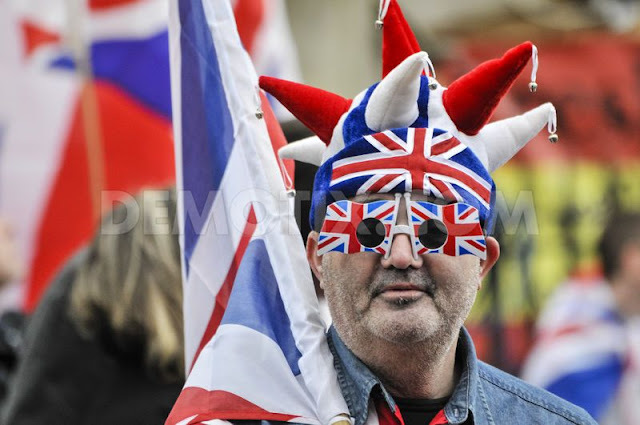 The great problem facing Unionism is that they have no educated leaders. The Unionist party has always had a great hold in working class communities; but guess what: there's no work for them any more! 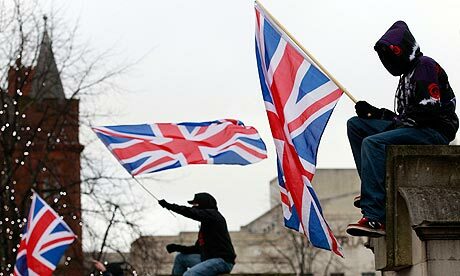 So for now, the Unionist flag flies for the Benefits Community. 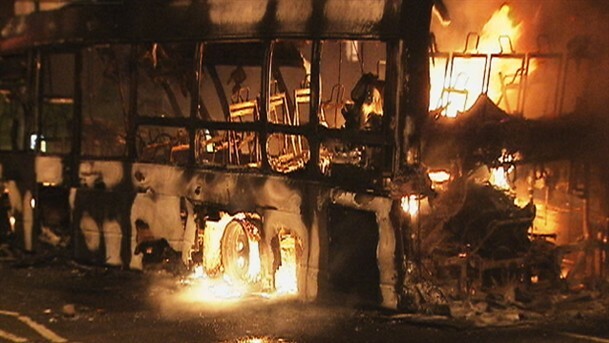 Don't for a moment, by the way, think that the people rioting, burning cars in the street have to go to work in the morning. They are the feckless, lazy scum for which you pay taxes. But the Tories want to rid them all of their free monies! 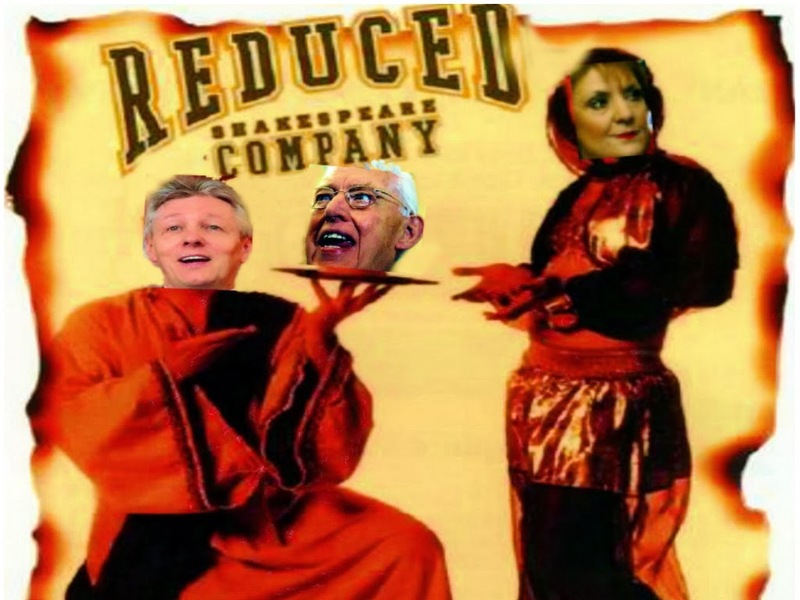 But the Unionists love the tories! At some point, the penny will drop. The working classes of Belfast, or let's be realistic, the class that had work about 30 years ago, will realise that London shat on them some 20 years ago. They don't have the wit to realise this, yet. 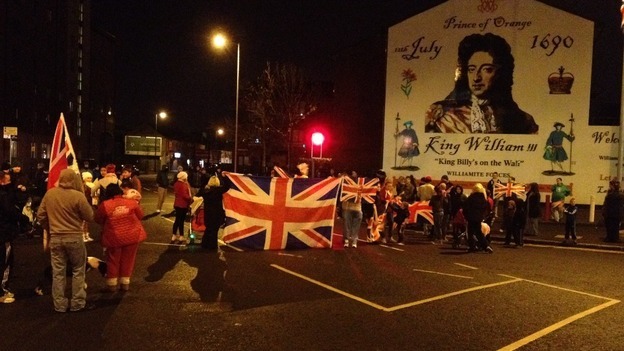 At another point, the poor Protestants will realise that they were always going to be the most shat-upon in the UK. And shat-upon, most comprehensively, by the people they voted for. Meanwhile, they will continue to vote for and support the very laws that ensure their enslavement. Because their leadership is unschooled and incapable of understanding what is happening. Goodbye, Unionism. 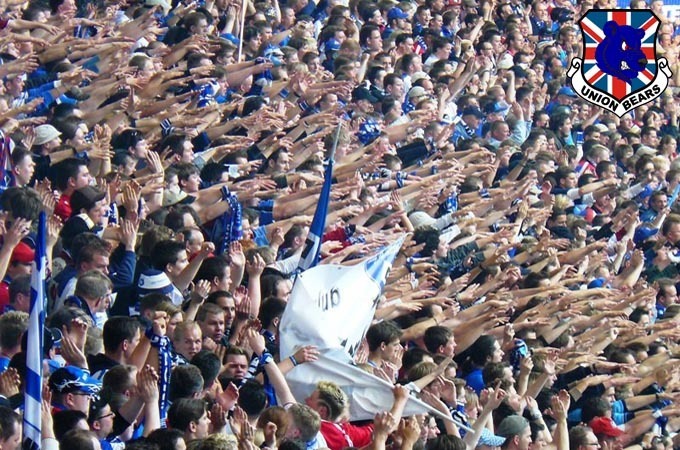 You no longer have the skills to compete. Edit:: sorry, forgot. You can always kill people. Makes you big men in the pub, doesn't it? That's how one garners respect on the Shore road, isn't it? 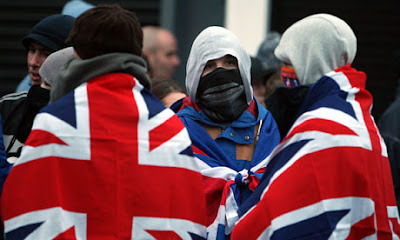 TL,DR: Unionists are too thick to realise that they are advancing the cause of Nationalism with their actions. Keep punching yourselves in the face, fellas! 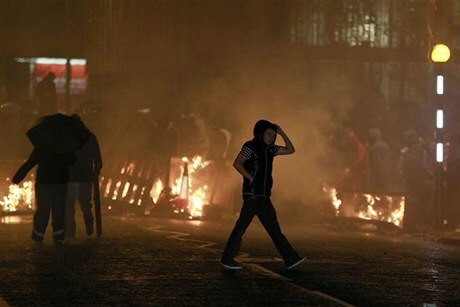 There's a great headline coming up soon: 'Cousin/Nephew/Son/Brother-in-law injured by recreational rioter'. 'I was just bored, and wanted to join in. I had no idea I was going to give my uncle brain damage when I threw that curbing stone at him. He had a helmet on, I couldn't recognise him.' It was unclear if wee jimmy would have felt guilty if he hadn't been related to the victim. 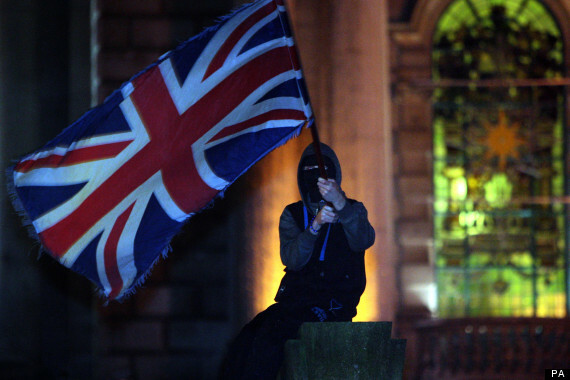 Belfast flags trouble: Plastic bullets fired at protesters The Unionists who insist on disrupting business in Belfast are going to get their wish. I am boycotting Northern Ireland and my tours of Ireland with 25 plus people will not include the North. So until the smart people start to show some leadership, don't start crying when your hotels are not filled up and tourists are not shopping in your stores. I was planning a big trip 12 day trip covering all four provinces for 2014. Not now. Many friends who visit Ireland ask me where to go, and at the moment it is not the North. Unionists have brought this on themselves. How pathetic it is to cry about the flag not been flowing over the city Hall, but your children are not completing school, fewer are going to university and then cannot get jobs, and thereby continue to live in highly depressed unemployed areas. Unbelievable!!!! Get into the 21st Century and stop trying to live in the 17th Century. Anyone who saw the video's of the wild hooligans running up to vans and threatening drivers, had to think twice about where to shop. Then the threats to the different political leaders and that was it! 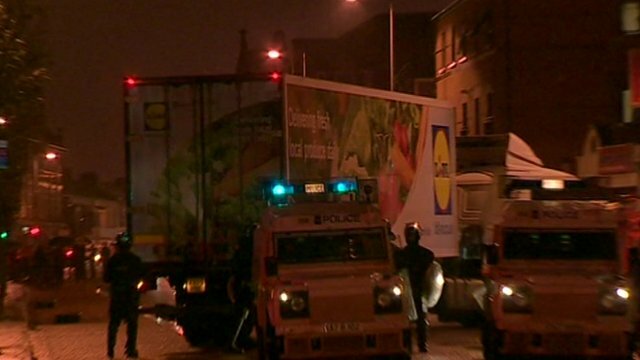 Police have fired plastic bullets during a fifth consecutive night of riots during flag protests in Belfast. The PSNI said weapons, including hatchets and sledge hammers, were used to attack police officers and their vehicles on Newtownards Road.